Our 754 is the definition of versatility. 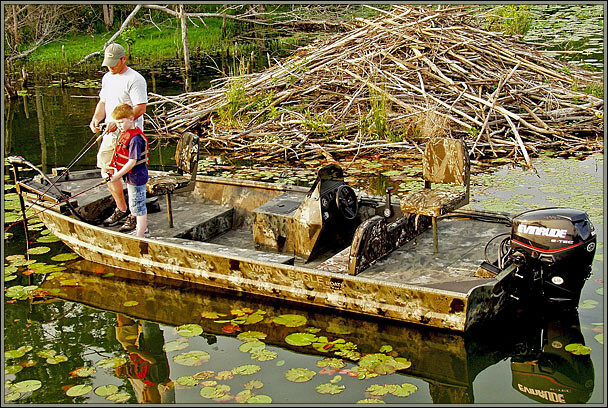 This boat was built for hunters who love to fish! 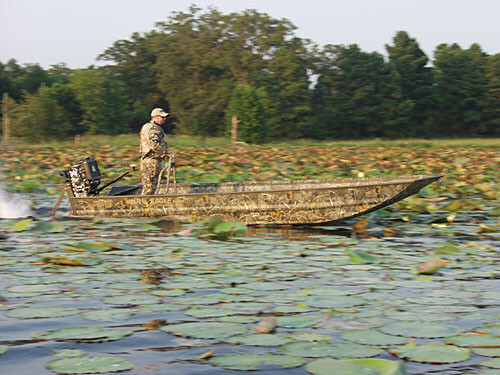 Several camo War Eagle models serve as great dual-purpose boats. When hunting season ends, many of our customers turn to fishing. This boat knows no off-season. 754DV - The DV includes one base plate in the high deck, one rear cross seat, a ¼” center keel and a 12 degree V-hull. 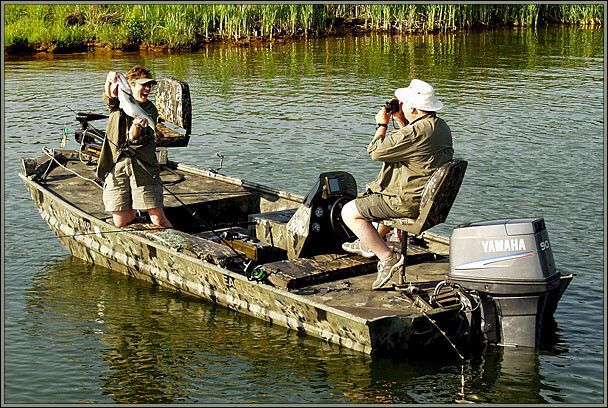 The DV has a high front casting deck for bass fishing. 754LDV - The LDV models have a low front deck and a rear cross-seat or can be arranged with pods. The LDV comes standard with one base plate, one cross-seat, a ¼” center keel and a 12 degree V-hull. 754DSV - The DSV model has a high front casting deck and a high rear casting deck. This makes for one serious 17’ fishing rig! The DSV comes standard with two base plates, a ¼” center keel, a rear deck and a V-hull. 754LDSV - LDSV has a low front casting deck and a high rear deck. It comes standard with two base plates, a ¼” center keel, a rear deck and a V-hull. 754LDBR - This 17’ package model comes fully equipped. The LDBR have a low front casting deck and a high rear casting deck. Standard Equipment includes: 2 base plates, a bench seat with box storage, a bilge pump (500gph), a metal gas tank cover, full skins with several carpet or vinyl choices, 2 upholstered seats, available side or center console, livewell (79 quarts), ¼” center keel, running lights, wired trolling motor bracket (12v) and a windshield (9”). LDSV 17' 54" 72" .100"